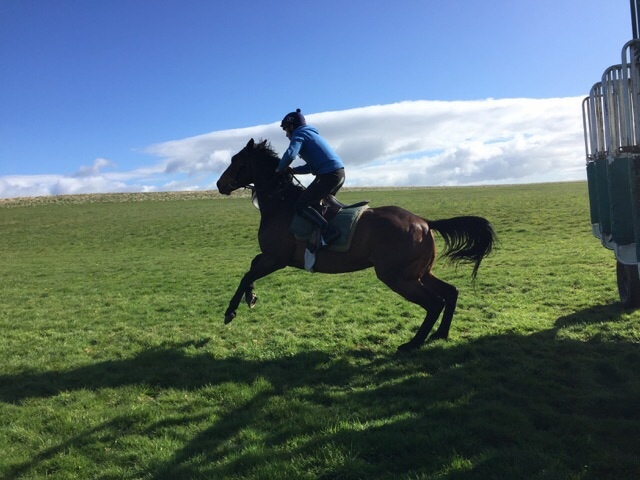 Perennial out in the field after his second at Musselburgh yesterday. 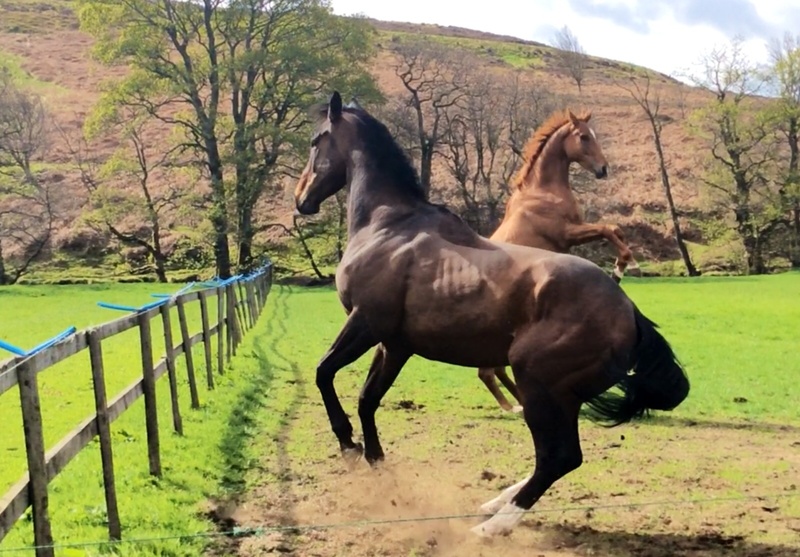 Perennial has been enjoying his turnout at Castleton, he didn’t gallop quite as fast as the youngsters when they were turned out for the summer yesterday, as you will see on the videos later, I think they thought they were in the Guineas. 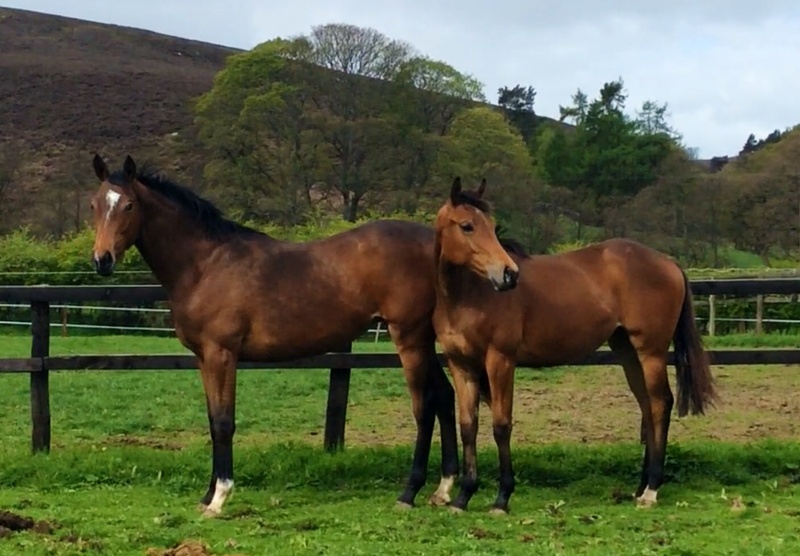 Not many runners this week but its been all go at the yard with stall work for the two year olds and others having their first starts on the flat. 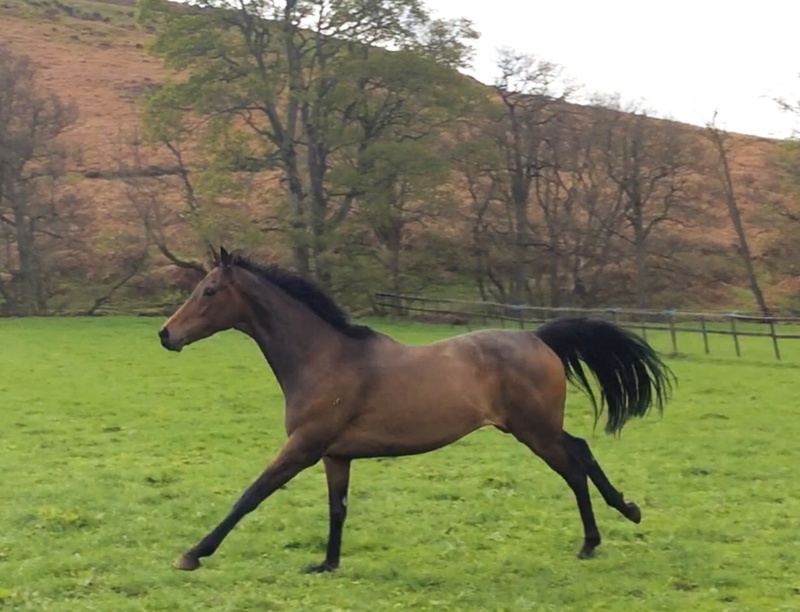 Entered up is Sakhee’s City, he goes on Saturday to Thirsk for a mile and a half maiden, and another bumper horse soon to run on the flat is Jessie Pinkman, he is having his final stalls practice tomorrow. 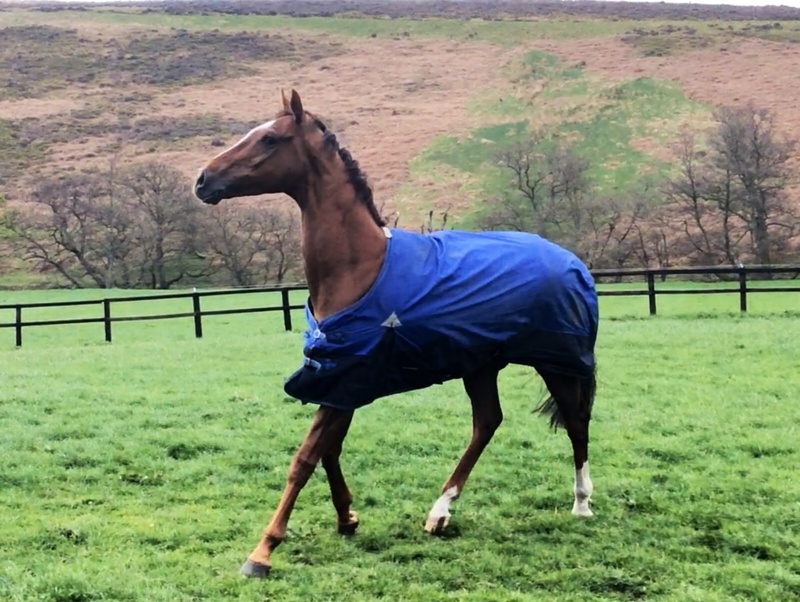 We are looking forward to Cavalieri about to run at Doncaster, he is in good form at home and is looking well. Call it On will also be having a spin on the flat shortly, he will be ridden by Ross Turner, stable Amateur, in a 1m 6f race at Southwell next week. 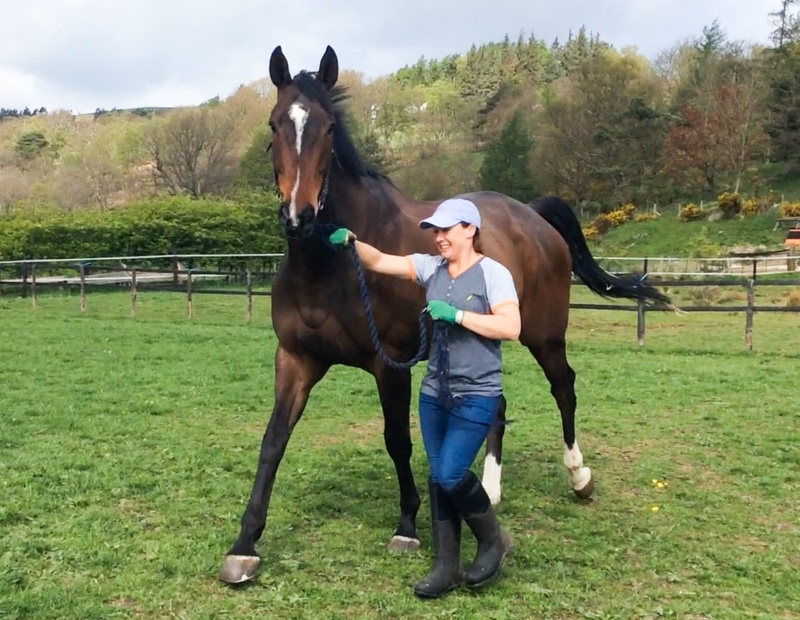 We have had some good placed efforts over the past fortnight, Perennial’s second at Musselburgh was frustrating but a major step in the right direction, and he travelled much better than of late, he could have just done with hitting the front another furlong closer to home. Rumble of Thunder was third in a decent handicap at Ripon, and his next start will be over hurdles when he may in fact go to France. One who is definately going to France is Aniknam, who is entered at Auteil next Friday in a race for five year olds. 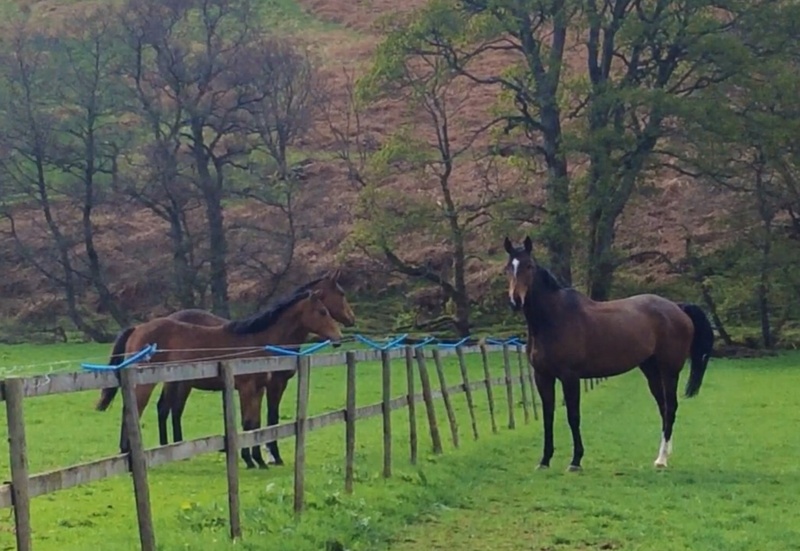 This will be our first French runner and James Reveley is in to school him today. Here are some photos from Castleton yesterday. The huge Transient Bay heading to the field with Kim. Enlighten Me with The Equiano filly now owned by The Jessies.